Rochester lies on the south fork of the Zumbro River and is Minnesota's third-largest city. 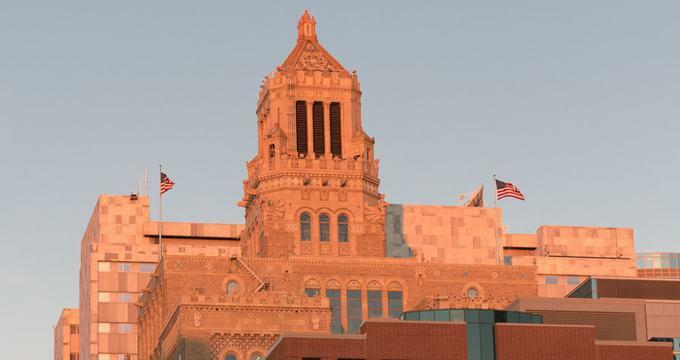 The centerpiece of Rochester's economy is the Mayo Clinic, which annually draws more than two million visitors. 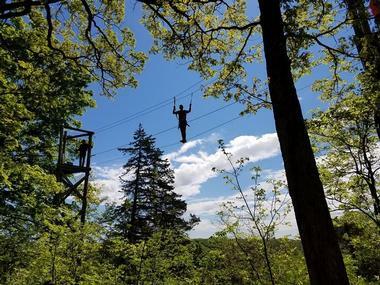 Popular attractions include the Quarry Hill Nature Center, Rochester Art Center, Mayowood Mansion, Soldiers Field Veterans Memorial and the History Center of Olmsted County. The Plummer Building, opened in 1928, is now an iconic symbol of the Mayo Clinic and National Historic Landmark. The building is named after Henry S. Plummer, M.D., who designed it and created systems and procedures still in use at Mayo Clinic. Dr. Plummer wished for the facility to be efficient as well as pleasing to the eye. The building's historic third floor has the offices of Dr. Charlie and Dr. Will Mayo. While patient care is handled in the Gondo and Mayo buildings, among others, the Plummer Building houses academic, administrative, and support functions. Dr. Mayo asked Dr. Plummer to join the Mayo Clinic staff in 1901 - a remarkable relationship that lasted 35 years. Dr. Plummer is credited with several innovative ideas generated during his tenure, including his invention of the pneumatic tube. In 1924, the Plummer house consisted of 65 acres. Eleven acres remain and are maintained by the Rochester Park and Recreation Department, which uses it as a tourist attraction and for receptions, weddings, meetings, and classes. Guests renting the home are entitled to use the grounds, such as formal gardens, bird trail, quarry, and water tower. Quarry Hill Nature Center offers visitors a place to observe many live animals, birds, and fish, plus a taxidermy collection. It's home to 35 species of live animals native to Minnesota, plus exotic species, a huge aquarium with seven varieties of fish, and two raptors. Keen eyesight, highly sensitive hearing, speed, silent flight, and crushing talons distinguish these birds. For at least 20 years, the Nature Center's indoor hive has offered visitors a close up view of the internal goings-on of a honeybee colony. The Bird Study Room features Minnesota-native birds - either mounted or living just outside the windows. The Nature Center is free and open all but four days of the year. The Rochester Art Center is a non-collecting institution that focuses on presenting temporary exhibitions that feature established international, national, and local artists, plus up-and-coming artists whose work represents a variety of media. One of its programs is the Emerging Artist Series, which develops, commissions, and produces new work by Minnesota's emerging artists. The program has worked directly with 50+ artists. Artists in this program are nurtured, supported, and challenged to take risks. Another popular program at the Art Center is its free family day, which is offered on the first Saturday of each month when admission is free for everyone. In addition to free admission, visitors are invited to create their own art. Co-founder of the Mayo Clinic, Dr. Charles H. Mayo, built Mayowood in 1911. The estate contains gardens and the doctor's decorative arts collection. More than 40 rooms are furnished in antiques of English, German, French, Spanish, and American heritage. The Mayo family, in 1965, donated the home and ten acres to the Olmsted County Historical Society. Two years later, Mayowood Mansion was declared a Minnesota Historic Site by a legislative act, and in 1970 the mansion and landscape were listed on the National Register of Historic Places. In July 2013, the Mayowood Mansion building and grounds title was transferred to the Mayo Clinic, as voted on and agreed to by the membership of the Olmsted County Historical Society. Tours are offered for visitors' enjoyment. 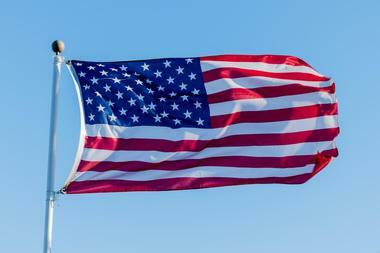 This memorial honors American veterans across generations. The Wall of Remembrance pays tribute to more than 3,000 women and men from southeast Minnesota who gave the ultimate sacrifice for their country. Comprised of about 6,000 pavers, The Walk of Remembrance honors United States veterans and allies for their service. What can visitors expect on a Bluffscape Amish Tour? During a three-hour guided tour, visitors will sojourn at Amish farms and shops and get a glimpse of Minnesota's Amish community. There is travel to the Amish farms between Preston, Lanesboro, Harmony, and Canton. Listen to the fascinating history of the Amish from knowledgeable guides. Select Amish crafts, quilts, baskets, hardwood furniture, leather goods, canned and baked items, candles, soaps, candy, and fresh garden produce while enjoying cashew crunch that visitors may purchase along their journey. Guests will also learn all about Lenora Church, a non-Amish stop, established in 1856. 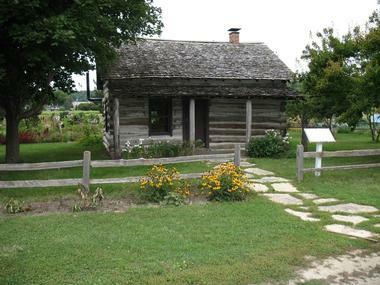 The vision of the History Center of Olmsted County is to encourage the exploration of history. In 1926, it was established by Burton Eaton to collect, preserve and interpret the history of Olmsted County. The center now serves the southeastern Minnesota region and Olmsted County with programs, events, exhibits, archives, and a research center. It is the owner and operator of five historic properties and buildings; two of these are on the National Registry of Historic Places. The organization is assisted by the Olmsted County Genealogy Society and maintains a partnership with the Mechanical History Round Table, among others. 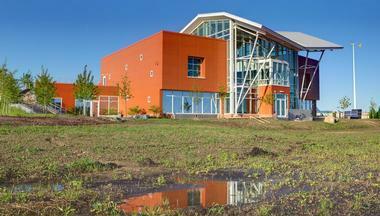 The Minnesota Children's Museum believes that children's learning is ignited through play. Through January 15, 2017, children will get their inspiration from the exhibit Adventures with Clifford the Big Red Dog. The experience will teach children 10 life lessons useful to their world: play fair, share, have respect, be responsible, help others, work together, be truthful, believe in yourself, be kind, and be a good friend. Also through January 15, children will encounter Children of Hangzhou, where they will come to understand the importance of the ancestral village and family, get a glimpse at how the Chinese prepare foods, and learn how to write "good luck" and "long life" in Chinese, among other activities. The Calvary Episcopal Church is Rochester's oldest church building, and it is among the state's oldest Episcopal parishes. The centerpiece of this sacred site is an original chapel made of brick in 1862. The Olmsted County Historical Society deemed the church a historic site in 1966. Throughout the years, artists, craftsmen, and architects, plus parishioners, have enhanced the beauty and peaceful nature of the building. Calvary Episcopal Church is blessed with stained-glass windows dating from the early twentieth century; these four were made in New York's Tiffany Studio. Its stone baptismal font dates from 1871 with the walnut altar base created in 1880. There is a spiritual oasis garden, as well. Southeastern Minnesota boasts a lovely, freshwater reservoir called Silver Lake on the South Fork of the Zumbro River, located approximately one mile north of downtown Rochester. Most of this body of water is surrounded by public park. The Rochester Rowing Club calls Silver Lake home. Visitors may engage in biking, jogging, rollerblading, observing the Giant Canada geese, or just enjoying a leisurely walk around the lake. Guests may picnic and visit the Children's Adventure Playground, which is handicapped accessible, or take a swim in the outdoor pool. A tier-one skate park is also there. For anglers, common species include black crappie, Bluegill, and white sucker. Visitors are encouraged to travel through the countryside to observe Amish farmers in their fields with horses and horse-drawn equipment and buggies tied to hitching posts. Guests are particularly drawn to these scenes of Amish life. Get comfortable with an experienced tour guide who will ride along with you in your car to provide insights into the array of Amish shops, farms, and stops. Or, you can choose to ride in a van, listening to a guide discuss Amish heritage. Large group tours are also available, and these include making meals. Expect to stop at Amish shops and farms where you can make purchases. This non-profit group is committed to educating and enriching the lives of young adults and adults in southeastern Minnesota and Rochester through the presentation and production of music, dance, and live theater. It is southeastern Minnesota's leading presenter and producer of community and professional theater, dance, and live music. 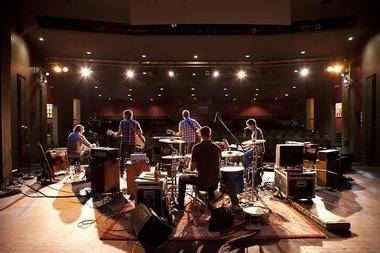 Established in 1951, the Rochester Civic Theatre is now a multidisciplinary award-winning organization. Its performances feature international, national, and local artists. In addition, the group's education department offers advanced training, classes, and performance opportunities for actors of any age. 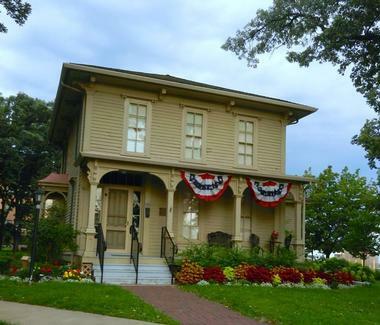 Just two blocks from downtown Rochester is the Heritage House Victorian Museum. The home was built for Eliza and Timothy Whiting in 1875. In 1883, the home was spared when it survived a tornado. One hundred years later, it came under threat - again. At that time, the home was empty and about to be demolished, save for Louise Hill, a citizen of Rochester who happened to be passionate about rescuing old houses. It was relocated in 1972 to Central Park. It has been decorated with Victorian antiques and restored. Trained docents lead tours from June through August. The home is air-conditioned. The mission of the Cascade Meadow Wetlands & Environmental Science Center is to educate people about the environment - specifically: water, energy, and wetlands. It seeks to encourage sustainable living through organizational and personal change and career choices. The core program at Cascade Meadow provides resources to increase energy and water "literacy" among southeastern Minnesota's citizens. The facility's physical features, exhibits, and educational programming help citizens focus on the science of energy and water. The center also helps visitors think about the ways that people interact and use these resources and how changes in behavior and technology can lead to these resources' sustainable use. The company was founded in 2006 to provide private and public sightseeing tours, plus coach and trolley charters for any size group. Its signature tours feature a Scenic Mississippi River Valley Tour, an Old Amish Country Tour, a Rochester City Tour, and a Twin Cities Tour. Others include the Haunted Rochester Trolley Tour, Great River Road Wine Trail Trolleys Tours, Rochester City & Mayo Historical Trolley Tour, and the Jolly Trolley Holiday Lights Tours. 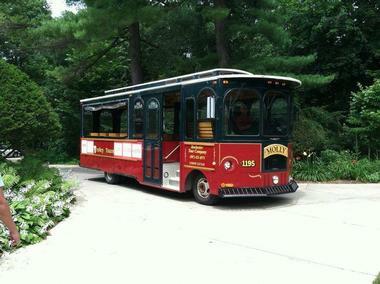 The Mayo Clinic and the Rochester Convention & Visitors Bureau named Rochester Trolley & Tour Company in 2014 its Certified Tourism Ambassador "Business of the Year." This theatrical dance production company was founded as an independent incorporated non-profit dance theatre in 1987 to create dance performances. 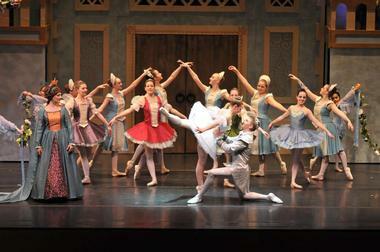 Its dancers boast a variety of experiences and training and are chosen for productions after going through auditions. Auditions are open to dancers who are at least five years of age through college-aged dancers; all must be enrolled in weekly classes. CDT explores the art of dance and seeks to provide its dancers with an inviting and stimulating learning environment by working with different choreographers. During the year, CDT also offers educational and outreach performance opportunities. Eagle Bluff is a private, non-profit residential environmental learning center, committed to providing experiences that empower people to care for each other and the earth. It accomplishes its mission through several educational programs for adults and children. The educational programs are designed to increase environmental and academic literacy, promote positive outdoor experiences, create an appreciation for the natural world, teach skills such as problem solving and teamwork, and foster stewardship, respect, and community. Programs include K-12 Experiential Classes, a live raptor/STARLAB presentation, adult team building, and the professional naturalist fellowship. It offers facility rental and lodging packages. Maple Valley Golf and Country Club has been named one of the "Places to Play" in Minnesota by Golf Digest. 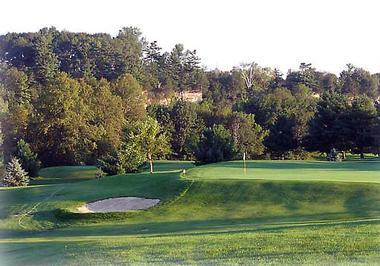 It has been chosen as one of their "Hidden Gems" by Minnesota Golfer, and Golf Minnesota has called it one of the state's "Hidden Gems." The course has been cited as southeastern Minnesota's most stunning public golf course. On three sides, it is surrounded by the Root River and limestone bluffs, features that beautify the course and makes it naturally difficult. Maple Valley Golf and Country Club seeks to provide an affordable experience without sacrificing quality, making it among the best in southeastern Minnesota. RSOC offers a concert season of new and traditional classical music performed in chamber and symphony formats by 70 professional musicians. Guest artists occasionally join RSOC performances, and some performances feature the RSOC's volunteer chorale with over 60 members. RSOC also serves the community through its community outreach and youth and adult education programs. Coda offers local musicians and the RSO the opportunity to play in small rock, jazz, Americana, plus other ensembles. Offered at no charge, these concerts are held on the Riverside Building's restored patio. 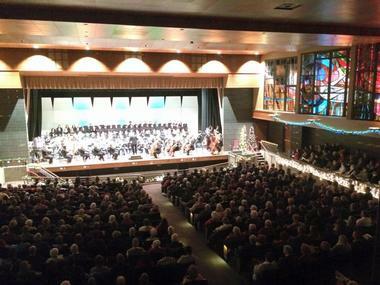 RSOC performs at Lourdes High School, John Marshall High School, and the Mayo Civic Center Presentation Hall. Guided gourmet food tours of downtown Rochester are offered on Fridays and Saturdays, April through October. Every tasting is from a specialty food store or locally owned restaurant. Guests will be treated to a sumptuous variety of samples that will equal a hearty lunch and will learn the stories behind these local establishments. 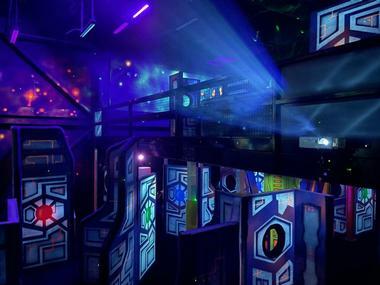 The entire tour is priced at $42.00 for adults, and it includes a Neighborhood Guide brochure. Between tastings, guests will come to understand the architectural, historical, and cultural highlights of the area. The tour is perfect for locals and out-of-towners who want to broaden their knowledge of the culinary experience. 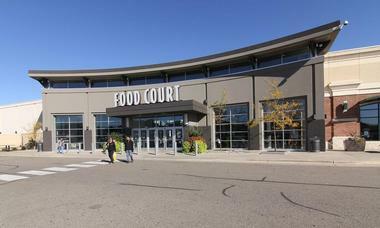 Apache Mall features 87 stores under several categories: department stores; electronics and entertainment, fashion, food, health and beauty, home and housewares, shoes, specialty, and sports and fitness. Visitors to the mall can enjoy a great cup of coffee or an afternoon snack, or even a relaxing meal with friends or family with the mall's range of dining options. There are full-service restaurants, quick service restaurants, and options for snacks and drinks. And there's always something a little bit different to do at the mall, from in-store classes and demonstrations to a variety of activities. Services and amenities - including free Wi-Fi and a nursing lounge - are available.